You can enroll your security key during the initial self-enrollment process or, if you have already enrolled in Duo using a different device (like your mobile phone), you can add your U2F token as an additional authentication device from the Settings menu in your Duo screen. 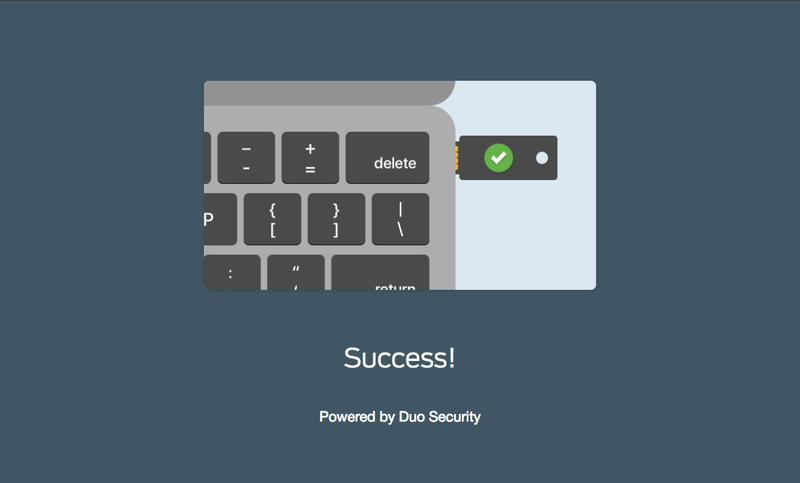 Access the Duo enrollment page via a link emailed by Duo Security, or when you log in for the first time to a Duo protected resource. Select Security Key from the list of devices and then click Continue. NOTE: If you can not select the Security Key option, make sure that you are using a supported browser. Make sure that you're not blocking pop-up windows for the enrollment site before continuing. The security key enrollment window automatically tries to locate your connected security key for approval. 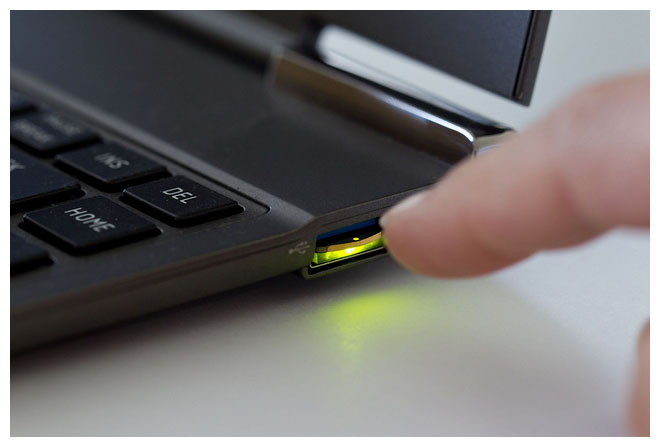 Depending on your security key model, you'll need to tap, insert, or press a button on your device to proceed. You'll see whether the security key identification was successful or not. Congratulations! You have enrolled your security key. If you previously enrolled other devices in Duo, you can easily add your new security key as an additional authenticator. Navigate to your Duo-protected service and log in. At the Duo Prompt you'll see a Settings menu on the top right. Click it and approve the Duo login request using your already enrolled phone or other device. Proceed with the U2F enrollment process as shown above in Initial Enrollment with a Security Key. You've added your U2F security key! It is listed with your other enrolled devices.